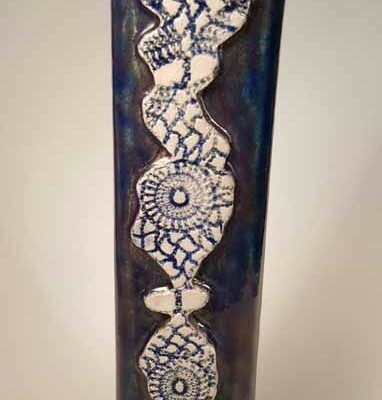 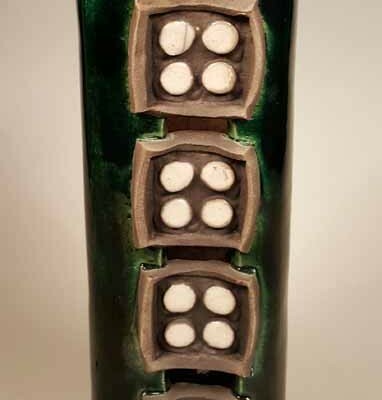 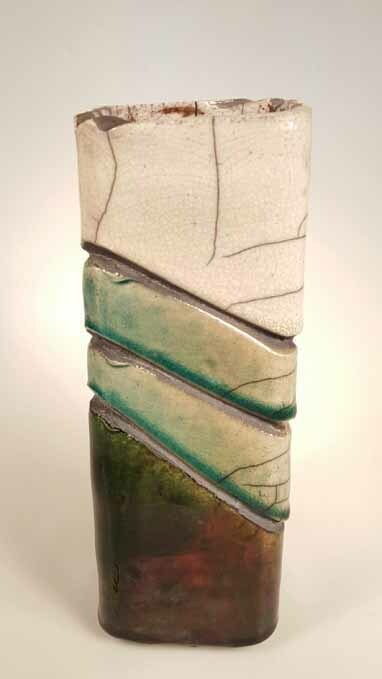 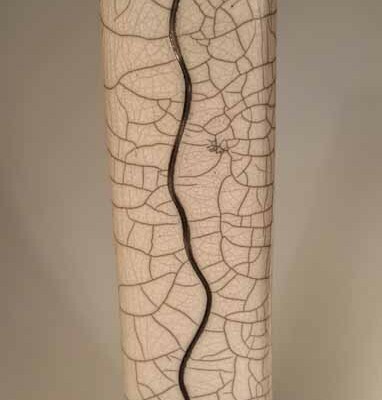 This fun little rectangular raku vase is one of a series of pieces created in this style. 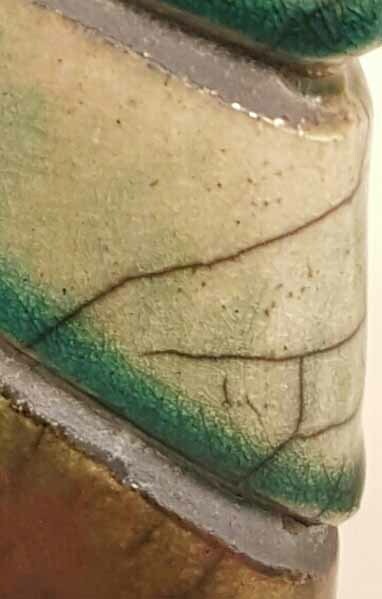 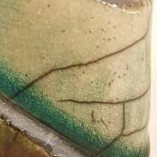 It has a wonderful jade luster lower section and is topped by sections of celadon and white crackle glazes. 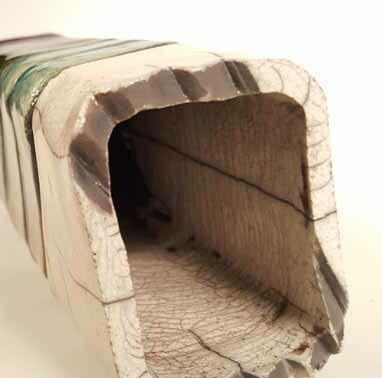 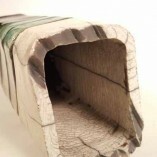 Unglazed areas are stained dark gray by intense smoke during the firing process.